We’ve got a game that oddly mimics politics, and an audio drama podcast to talk about this week! Do you like House of Cards? Did you catch the game recommendation in there? Kelly did. Your a dot(cell). You eat other dots. You get bigger. Other dots try to eat you. You possibly die. This is a strategy multiplayer game, so you may find some bad humans in there. You get to earn coins to buy new skins for your cell and power ups. There’s a strategy to it or you can just blunder around. Whatever makes you happy. 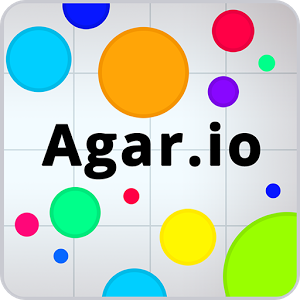 Available on the web at agar.io, and on iOS, and Android. 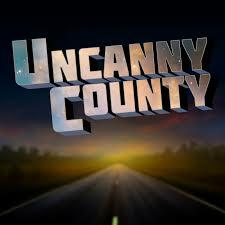 This is an Audio Drama type podcast. Each episode is a stand alone story. Mel loves this podcast so much. It’s very steeped in Americana with a weird twist. That could be vampires, god like beings, or robots, and (shudder) clowns. There’s a new ep every month and they only run about 30min. I knew I was going to love this one from the intro. Check it out below. Kelly: Dogs in Charlotte: @dogsincharlotte: They post … pictures of dogs in Charlotte, NC from their instagram. Go check it out! Tagged Agar.io, Clowns, Uncanny County. Bookmark the permalink. We know you can't wait for more, so enter your email below and click that button! N&S – Ep 165 – More Crafts, More Documentaries! Nurture and Support | Powered by Mantra & WordPress.